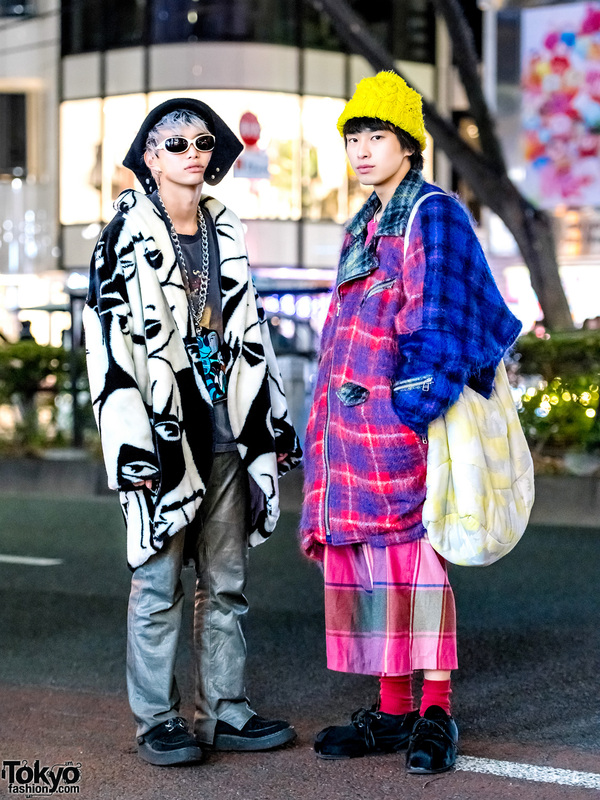 It was difficult to miss Yuma and Kyo, who stepped out in head-turning graphic ensembles in Harajuku. 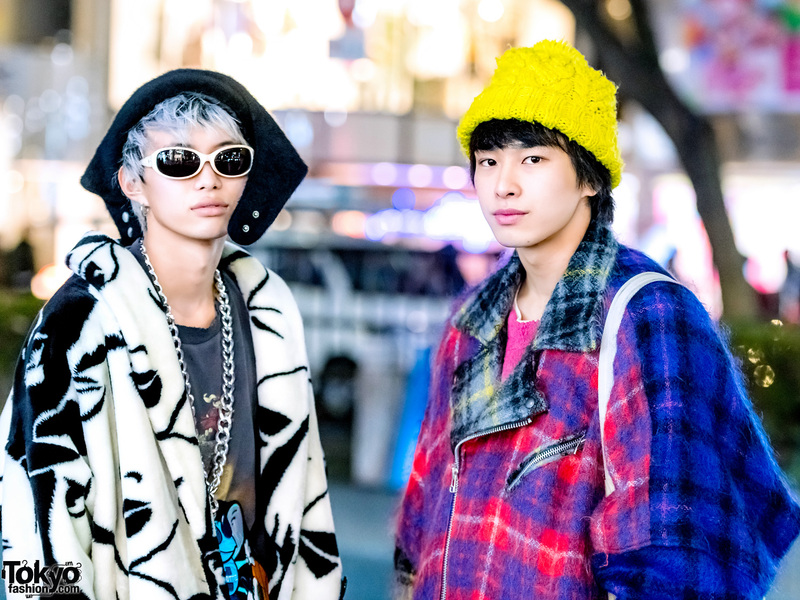 On the right is Yuma in a bright yellow knit hat and furry plaid outfit. 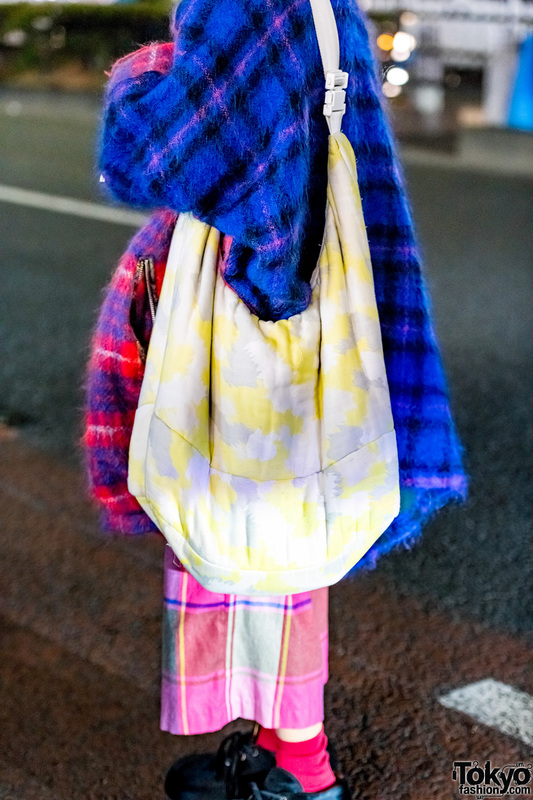 The 19-year-old student wore a vintage pink top under a Hiro multicolored plaid jacket with wide lapels and a front zip closure. 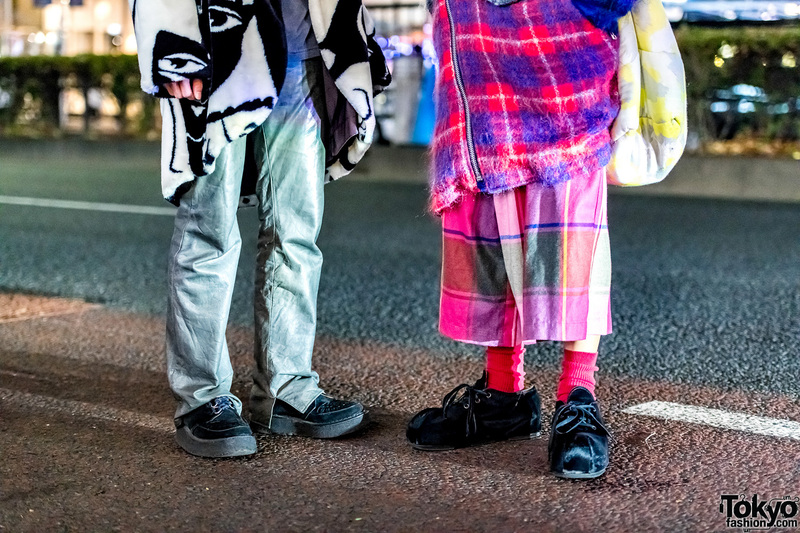 He styled his look with Jieda pink plaid cropped pants, pink socks, Hiro black lace-up shoes, and a yellow printed bag. 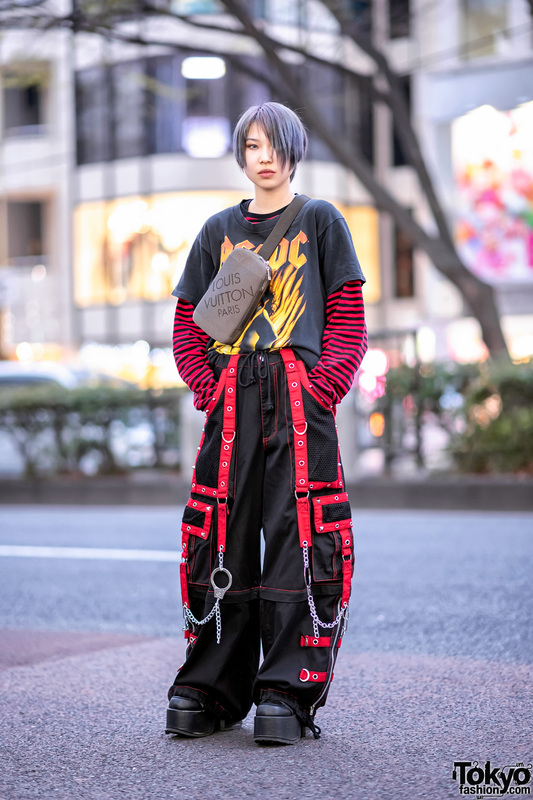 Yuma names Dog Harajuku as a fashion favorite, and he likes listening to music from Lorde. He is active on both Instagram and Twitter. 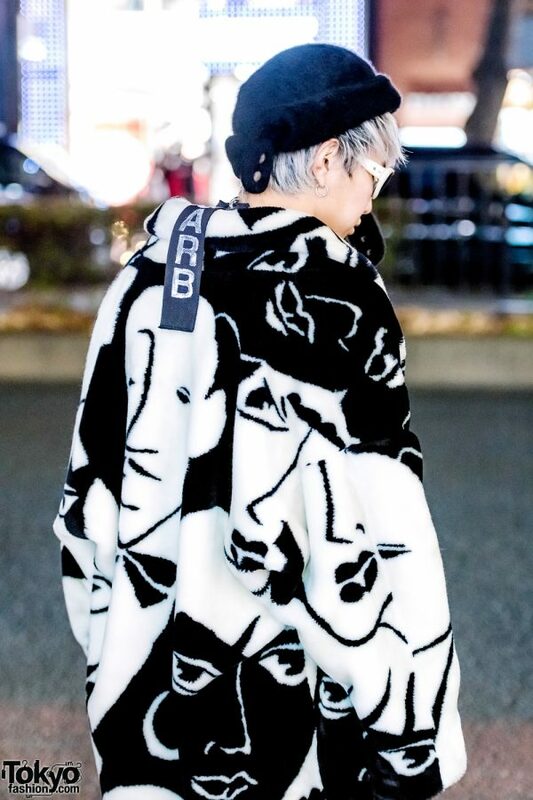 Meanwhile, Kyo donned a Donnybrook fuzzy jacket with a black-and-white graphic print. The 20-year-old student wore it over a vintage graphic tee and Carpe Diem grey pants. He also wore black shoes from George Cox, a black hat with snap button closures, sunglasses with white frames, and Garb accessories. Like Yuma, Kyo considers Dog Harajuku as his fashion favorite. For more on Kyo, follow him on Instagram.